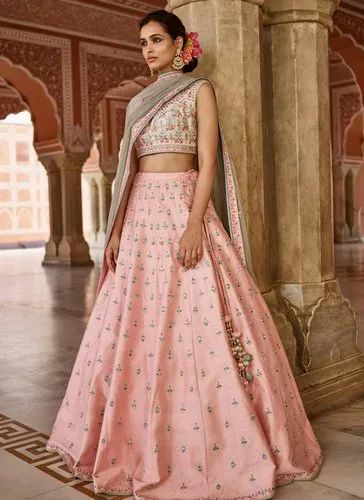 Leading Manufacturer of celebrity style designer reception wear lehenga choli, wedding wear royal collection, latest designs silk festival wear designer lehenga, indo western style designer lehenga choli, wedding wear pure satin designer lehenga choli and heavy embroidery wedding wear lehenga choli from Surat. Designer Lehenga Choli Catalog Have SILK Fabrics With Zari Embridery Work.Its comes with SILK Choli(blouse) and SILK dupatta. *Catalog No:10834(10 Designs Available In Different Colors). Designer Lehenga Choli Catalog Have SILK Fabric With Embroidery Zari Work.Its comes with SIlk Choli(blouse) and SILK dupatta. *Catalog No:10925(12 Designs Available In Different Colors). Designer Lehenga Choli Catalog Have SILK Fabrics With Embroidery Work.Its comes with Choli(blouse) and dupatta. *Catalog No:10926(12 Designs Available In Different Colors). Designer Lehenga Choli Catalog Have Different Fabrics Lehenga With Embroidery Work.Its comes wit Choli(blouse) and dupatta. *Catalog No:10945(18 Designs Available In Different Colors). 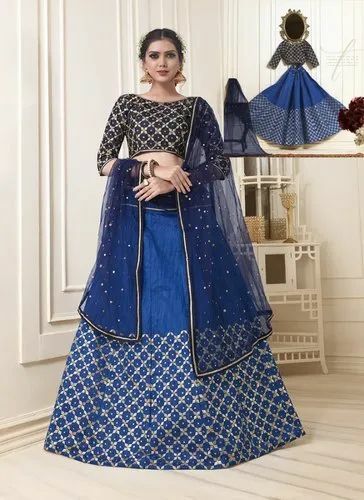 Designer Lehenga Choli Catalog Have Pure Satin Fabric With Diffrent Works Like Pearl,Thread,Dori And Lining Work.Its comes wih Pure Satin Choli(blouse) and net dupatta. *Catalog No:10946(10 Designs Available In Different Colors). Designer Lehenga Choli Catalog Have Different Fabrics With Embroidery Work.Its comes with Matching Choli(blouse) and dupatta. *Catalog No:10965(7 Designs Available In Different Colors). 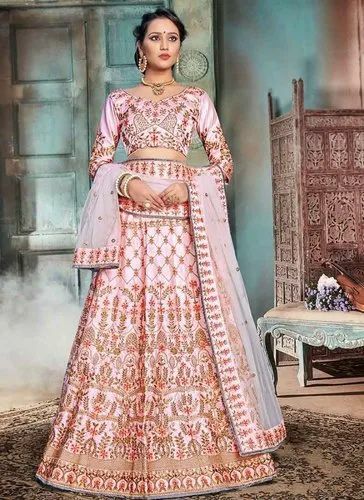 ***Lehenga CholiDesigner Lehenga Choli Catalog Have Phantom Silk Fabric With Embroidery Work.Its comes with Silk Choli(blouse) and net dupatta. *Catalog No:11034(8 Designs Available In Different Colors). Designer Lehenga Choli Catalog Have SATIN Fabric With Heavy Embroidery Work.Its Comes With SATIN Choli(blouse) & Net Dupatta. *Catalog No:11099(10 Designs Available In Different Colors). Designer Lehenga Choli Catalog Have Silk Fabric With Heavy Embroidery Work.Its Comes With Silk Choli(blouse) & Chiffon Dupatta. *Catalog No:11126(6 Designs Available In Different Colors). 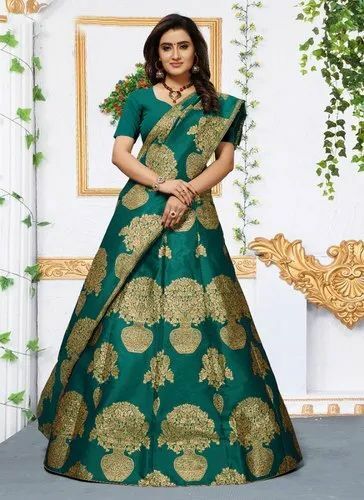 Designer Lehenga Choli Catalog Have Jacquard Silk Fabric With Heavy Zari Work.Its Comes With Jacquard Silk Choli(blouse) & Weaving Jacquard Dupatta. *Catalog No:11249(4 Designs Available In Different Colors). Price Per Piece 6144 Avg. *Catalog No:11301(12 Designs Available In Different Colors). Designer Lehenga Choli Catalog Have Satin Fabric With Heavy Embroidery Work.Its Comes With Satin Choli(blouse) & Chiffon Dupatta. *Catalog No:11302(11 Designs Available In Different Colors). Price Per Piece 3428 Avg. *Catalog No:11303(5 Designs Available In Different Colors). *Catalog No:11304(13 Designs Available In Different Colors). Designer Lehenga Choli Catalog Have Assam Silk Fabric With Heavy Thread Work.Its Comes With Assam Silk Choli(blouse) & Net Dupatta. *Catalog No:11310(6 Designs Available In Different Colors). *Catalog No:11324(4 Designs Available In Different Colors). 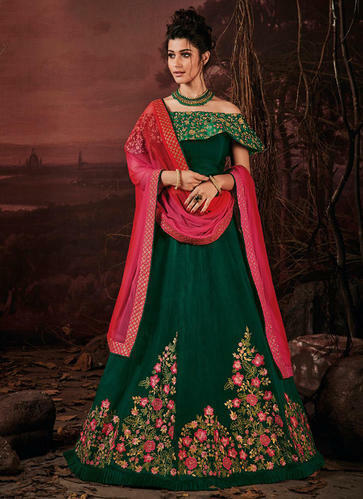 Designer Lehenga Choli Catalog Have Mulberry Silk Fabric With Heavy Embroidery Work.Its Comes With Mulberry Silk Choli(blouse) & Net Dupatta. *Catalog No:11325(6 Designs Available In Different Colors). 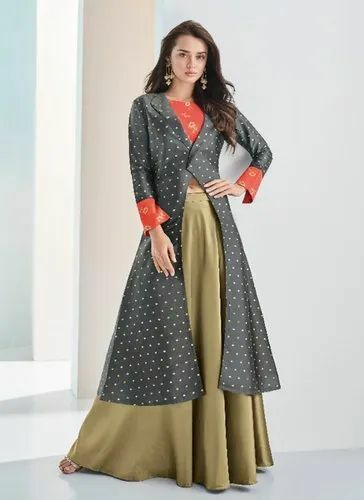 Western Style Designer Lehenga Choli Catalog Have SILK Fabric Plain Lehenga.Its Comes With NYLON JACQUARD SILK Choli(blouse) & Cotton Silk Jacquard Shrug. *Catalog No:11825(7 Designs Available In Different Colors). Designer Lehenga Choli Catalog Have Nylon Satin Fabric With Heavy Embroidery Work.Its Comes With Nylon Satin Choli(blouse) & Net Dupatta. *Catalog No:11926(7 Designs Available In Different Colors). Designer Lehenga Choli Catalog Have Silk & Malai Satin Fabric With Heavy Zari & Resham Work.Its Comes With Silk Choli(blouse) & Net Dupatta. *Catalog No:11930(9 Designs Available In Different Colors). Designer Lehenga Choli Catalog Have JACQUARD Fabric With SEQUINS Work.Its Comes With JACQUARD Choli(blouse) & SILK Dupatta. *Catalog No:12039(9 Designs Available In Different Colors).